Website owners must continually strive to improve conversion rates, just as a Fortune 500 CEO strives to increase profits. In a previous post, we discussed the importance of conversion optimization. The benefits include improved bounce rates and lower cost per customer acquisition, which frees up more of your budget to spend on new marketing strategies. Plus, you’ll create more conversions from your existing traffic — saving you valuable resources. 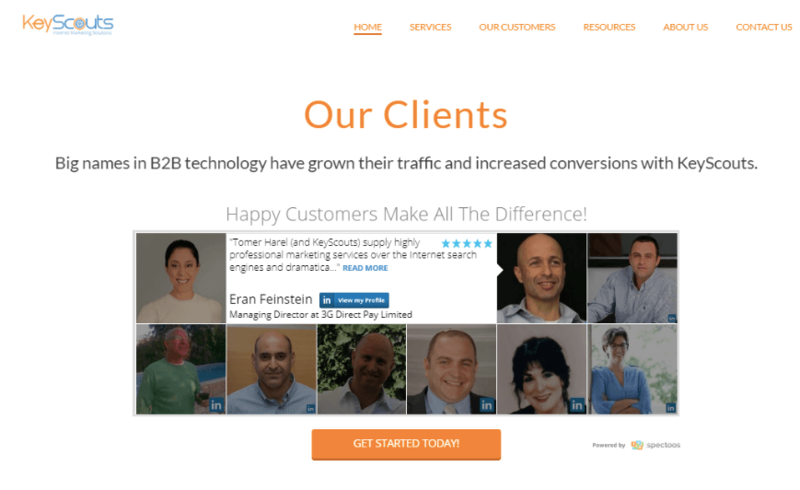 Having testimonials on your website will help increase your conversion rates! Sign up for Spectoos, today! Customer testimonials give your website visitors evidence that buying your product or service truly works. By offering logos of trusted companies, pictures of actual people reviewing the products, case studies, video interviews, or any other type of customer testimonial, you are adding authority and giving your visitors peace of mind. Optimize your customer testimonials by highlighting the benefits of your product or service. Make sure your testimonials are credible and are actually written by real customers. Show off your testimonials in an attractive widget across all of your web assets to see your conversion rates increase. Sign up for Spectoos, today! While customer testimonials add social credibility, there are other ways to add a sense of trustworthiness and reliability: adorn your site with seals from organizations like the Better Business Bureau, TrustE, and Verisign. Of course, it goes without saying (but we would be remiss if we didn’t say so anyway) that you must take care to use only testimonials, logos, and other media that you have explicit written permission to use on your site. Depending on your vertical and actual product, customers often convert better when they have a sense of the actual people behind the product or website. While customer testimonials and the other credibility factors described above add to their sense of security, being reachable does wonders (even if they don’t actually need to reach you). Make sure your phone number is displayed clearly across all pages of your site. Experiment with offering live chat and chatbots. Studies show that customers expect to be able to use live-chat messaging to get help from companies online. In this case study, live chat helped OptinMonster increase their overall sales conversion. In essence, your goal is to give your visitors a sense of confidence that there are real people behind your company and that you are available to help them. Guarantees are a great way to build trust and credibility. Customers want to know that when they make a purchase, they’re getting what they paid for. If you’re confident in your service or product, then your customers will be too, so consider offering a money-back guarantee or credit if a service falls through. Costco is hugely successful partly because their members know that they can always return any product for any reason for a full refund. How else could you buy a 20-pound bag of potato chips you have never tasted and a $10,000 jacuzzi tub you don’t know how to install? By offering your visitors guarantees, you increase your reliability. If you are selling shoes like Zappos, or virtually anything else like Amazon, provide many photos of the products. 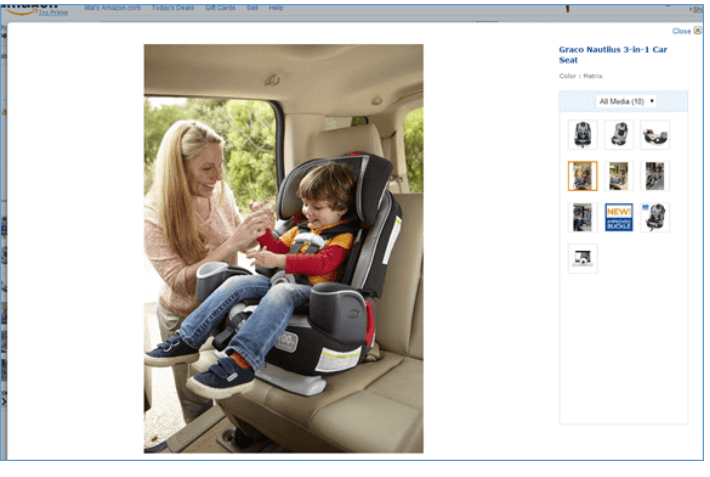 Perhaps even enable customers to add their own product photos. Also include videos if appropriate. 90% of users say that product videos are helpful in the decision process. After watching a video, 64% of users are more likely to buy a product online. Of businesses that don’t currently use video, 65% plan on doing so in 2018 — and 99% of those that currently do, plan on continuing. We have a tendency to overcomplicate things. We complicate our explanations. We lengthen our headings. We use complex designs. Simplify site usability: Make sure your site is easy to navigate so users can quickly find what they’re looking for. Consider hiring an expert to improve site usability. Simplify your sales funnels: Eliminate redundant actions in your sales process and remove any obstacles that are preventing sales. Simplify your call to action buttons: Your CTA text should be short and direct. Choose a contrasting button color and be consistent with design throughout your site. Simplify your headlines: Keep your headlines short, catchy, and to the point. Simplify your marketing by focusing on your main referral sources: If you’re seeing success from referral sources, build on that success before branching out. Simplify your content by offering the kind of content your users consume: Analyze which content formats and topics your audience consumes the most. If they prefer long-form blog posts, get to writing! Simplify your forms (fewer fields! ): Most users hate filling out forms, so only include the most relevant and crucial fields. Simplify your checkout process (less clicks, less pages, less hassle): Ask fewer questions and consider eliminating a sign-in process. Optimizing your site’s conversion rate is an ongoing and ever-changing process, but one that is definitely worth the effort! By essentially creating more sales from the same traffic, you can grow your profits exponentially. Test these 5 conversion rate optimization tips (and the extra tips within them) and let us know which ones work for you in the comments. Got some conversion optimization case studies to share? Waiting to hear your thoughts in the comments!